Much needed funds raised and allocated to various community projects motivated & driven by the Rotary in the Western Cape. The Rotary Club of Sea Point is part of the global network of 31,000 Rotary clubs in more than 165 countries. It is comprised of a collective of private individuals, businesses and professional people who feel the Rotary offers a great opportunity to carry out humanitarian projects which address issues such as poverty, health, hunger, education and the environment. 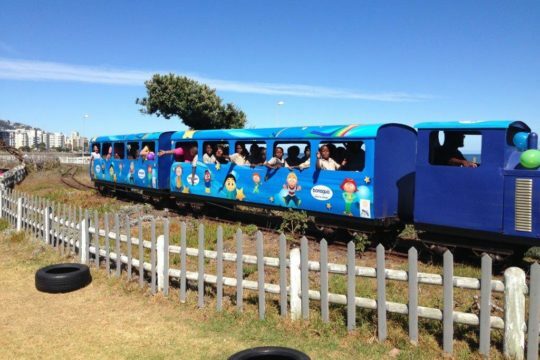 Visit http://seapointrotary.org.za for more details on the various projects Rotary are engaged in and towards which the Blue Train Park contributes. Rotary is open to all people and encourages people of all backgrounds to be involved. The Club is part of District 9350, which covers the Western Cape, Namibia and Angola.